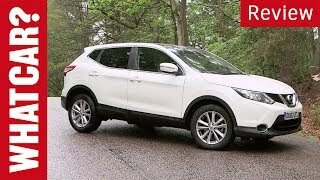 With its Qashqai 2014, Nissan ensures its C-segment drivers for appealing style and innovative technology, we though don’t have any clue to it but yes for an instance the verdict gave birth to curiosity. The outer specs detailing it being 49mm longer in size than its predecessor gave us a sigh of more space but being loyal this isn’t just what makes a crossover appealing. To know more about its features, the equipments and serenity mounted in the interior and the style it brings with exterior we decided to have a closer look of it. 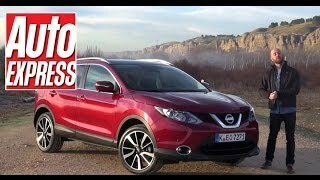 Let us go for a ride and check more about this newly release Nissan Qashqai 2014. No doubts can be raised over the bold exterior design of Nissan Qashqai 2014. Our attention first went to the elongated and broader version. 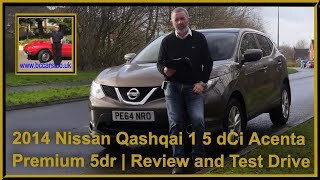 Qashqai in comparison to its predecessors is 20mm wide, 49mm longer and 15mm lower. This in turn not just makes it look bold but also provides more space in the interiors. The previous Xenon lamps for this model got a replacement by LED lamps, giving it brighter and crisper white light while consuming less power. Head and tail lamps are stretched giving it better look. Even the 19 inch alloy wheels, raised bonnet and muscular wheel arches make the model look bold and aggressive. We decided to take a step further. Talk about the comfort, control or connectivity each of these is well managed by Nissan Qashqai with their innovative technology. The traditional NissanConnect screen is accompanied by additional TFT color display instrument panel. The panel holds every basic information required by driver and very well warns and gives advice in terms of speed, fuel, navigation, safety and control over chassis. Further the option allowing customizing steering feel lighting, wiper and locking settings. The NissanConnect system too is a new innovative introduction, making its debut from this model offering smartphone features. In all we found the interior complimenting its exterior with lot of space and features for a comfortable long family outing. 1.5 dCi engine producing 108 horsepower while the 1.6 dCi engine produces 128 horsepower. The former is mated to all new Xtronic transmission giving a smoother and natural driving experience. 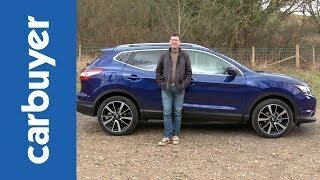 Each of these bring to you fuel efficiency and lesser CO2 emissions at the best of their levels and thus make Nissan Qashqai a better performing model. Front Collision Avoidance, Driver Attentions Support, Traffic Sign Recognition, Lane Departure Warning, Blind Spot Warning, Moving Object Detection and High Beam Assist are some of the safety features ensuring you a better and healthier travel.